In the food industry, there is typically a lot of stainless steel. Appliances, machinery and tools. They all collect fingerprints and messy, greasy build up. Cut through the grime with our stainless steel wipes. These wipers are perfect for Stainless steel, copper, brass, formica and chrome. Get the luster back without abrasives and acids. Our stainless steel wipes contain a mild citrus solvent and are pleasant smelling. Our dual sided construction offers one side for scrubbing and the other for gentle wiping. Remove water spots, grease, oil, fingerprints and heavy soil. Thank You For Shopping Absorbents Online! 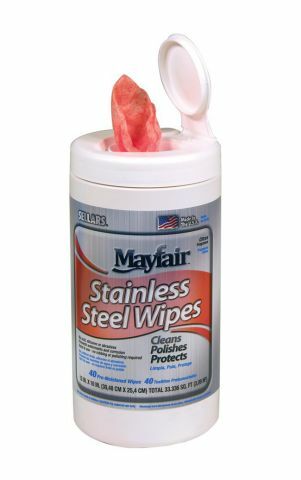 Your Source for Stainless Steel Wipes!